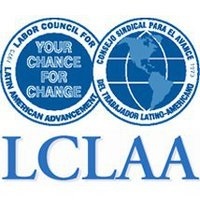 The 2014 Labor Council for Latin American Advancement (LCLAA) National Convention will take place in Houston at the Hilton Americas from August 6 to 8, 2014. The convention brings together important Hispanic and labor leaders; local, state and national political figures; and a diverse coalition of non-profits, think-tanks and community-service organizations to create LCLAA’s agenda for the next two years. Early registration forms for the LCLAA Convention will be accepted until June 30, 2014. The cut-off date for a reduced room rate is July 16, 2014. Click here for the 2014 LCLAA National Convention registration packet. LCLAA will host a series of events including a women’s leadership luncheon and the Montemayor-Barraza Awards Gala. Workshops and discussions will center on key priorities for Latinos and labor such as immigration reform, education, civic participation and jobs.